On the first death anniversary of the master of manga, Ajima Fumiya, 50 pages of unreleased sketches are discovered. It is the drawings of Ashima, but the mysterious contents are remarkably similar to a series of female disappearances 35 years ago. Ajima�fs wife, Yoshiko, instructs Ozawa Yukihide, the manager of Ajima Pro, to check if the sketches were really drawn by Ajima. Former police officer, Mizuno Yuki, who is sent from an investigation firm, is asked by Ozawa to examine its authenticity. She seeks the assistance of Daigo Shinji, a freelance manga editor with a wealth of knowledge. Daigo starts to identify the period in which it was drawn and the artist from a variety of things such as the way of drawing the background and shadows, the pen as well as the screentone. If the artist is Ajima, does it mean he is the real criminal of the unsolved cases. If the criminal is another person, what was Ajima�fs objective in drawing it? Before long, Yuki and Daigo notice a clue to a witness of the crimes of the serial killer who is the protagonist of the manga. They put their lives on the line to solve the mystery of these cases. 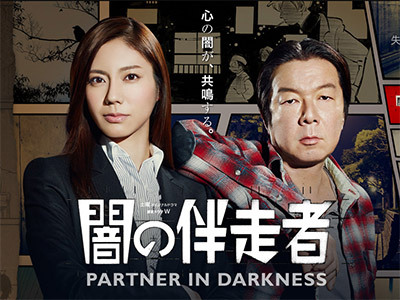 Another good mystery drama from WOWOW. Arata Furuta steals the show as the quirky manga expert. Good pacing and story. Good but not great. Clever enough but never taking off.